The word “protein” is derived from a Greek word meaning “of primary importance.” It is easy to see why. Protein is essential for the human body to function correctly. And, as most bodybuilders know, protein is the major source of nutrition for muscle growth and repair. Protein is made up of twenty-two amino acids, which are basically the building blocks that our bodies need to grow and thrive. Out of these twenty-two amino acids, eight can only be obtained through the food you eat and outside sources. Let’s discuss the sources of protein so that we can all have stronger muscles and healthier bodies. Another great source of protein is the incredible, edible egg. Eggs contain high-quality complete protein that all of our bodies need. It was once popular among body builders to drink raw eggs for their pure protein benefits. I assure you that you get the same amount of protein from a cooked egg as you do from a raw one; therefore, it is not necessary to down a few raw eggs to start your day. 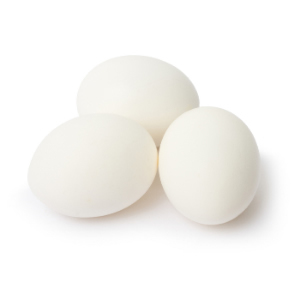 One large egg contains about 6 grams of protein, which makes it an “eggcellent” source for your daily protein intake. For those of you who are concerned about cholesterol, it is suggested that you eat only egg-whites. Two egg whites contain the same amount of protein as one whole egg, which, again, is about 6 grams. Milk “does a body good” not only because it is the best calcium source around, but also because it is a good source of protein. One cup of skim milk contains a whopping 8 grams of protein. Not only is milk a good source of protein on its own, it can be combined with vegetable proteins to make them a much more complete protein source. No wonder wearing a milk mustache has become so popular! If you are looking for another food that provides both protein and calcium, look to cheese. Cheese happens to be very high in protein, and in calcium. The only downfall of this wonderful food, for those on a low fat diet, is that it is also very high in fat. Hard cheeses such as cheddar, mozzarella, and American all contain about 7 grams of protein per ounce. Consider eating cheese. It is definitely worth the benefits. Not only is hard cheese high in protein, cottage cheese is high in protein as well. And yes, it provides a wonderful dose of calcium as well. A nice quality of cottage cheese is that it is available in regular or fat-free. For those of you that are dieting or bodybuilding, it is nice to know that just ½ cup of fat-free cottage cheese contains 14 grams of protein. Yes, I said 14 grams. Regular cottage cheese contains 13 grams per ½ cup. With such high protein content, cottage cheese is something you cannot afford not to eat. Besides, it is also friendly on the wallet. You can find a pound of cottage cheese just about anywhere for only a few bucks. It’s also a handy filler for my bodybuilding lunch of friend ground beef, mix some cottage cheese in, pop it in the microwave and you have a high protein and tasty lunch. A wonderful source of natural protein that we cannot forget is vegetable protein. Vegetable proteins come in the form of legumes, grains, nuts, and seeds. Although vegetable proteins are not quite as complete as animal proteins, they are still an important staple of a healthy diet. Vegetarians all over the world swear by meals of beans and rice, and such meals provide the body with healthy amounts of protein. Those of the carnivorous persuasion can combine vegetable and animal proteins for a diet super-high in protein that will help them keep a lean, muscular figure. Last, but not least, comes protein powders. Protein powders have been used for years by bodybuilders to promote massive muscle gains. Protein powders provide a large dose of protein, and are commonly used as a meal replacement. There are three major types of protein powders: whey, casein, and hemp. All three provide two to three times the protein found in food, and are a staple in the diet of those who wish to put on a few pounds of lean, hard muscle. The most popular protein powder is whey protein powder. Whey protein has the best combination of amino acids out there, and is highly soluble. Whey protein works best when ingested after a workout and aids greatly in muscle recovery. Not only does it have all these wonderful benefits, but it comes in just about every flavor imaginable. The most popular is vanilla, but such flavors as chocolate brownie, cookies and cream, and peanut butter cup make it seem more like a dessert than a nutrient. On average, whey protein powder is sold in two pound jars that contain pre-measured scoops that deliver a whopping 15-30 grams of protein per scoop. Another major type of protein powder is casein protein powder. Casein digests slowly, and works best for the body when taken at bedtime. Casein helps prevent muscle breakdown, and provides 6-7 hours of protein absorption. Casein provides close to the same combination of amino acids as whey protein, but does sit in the stomach for quite a few hours. It is definitely not your morning type of protein, but can deliver all the protein you need while you sleep. The least popular, and least known, type of protein powder is hemp protein. Hemp protein is extremely high in fiber, and has a unique nutty flavor. Hemp protein is the most popular among vegetarians, since it is 100% raw, organic hemp. The price is a little steep, but hemp protein can be used in lieu of whey protein. Again, hemp protein is perfect for vegans. Another added bonus is that most of the manufacturers of hemp protein donate large amounts of their proceeds to promote the use of organic vegetables. All in all, protein is indeed “of primary importance.” Our bodies need protein in order to maintain lean muscle, and to recover from the rigors of day to day activities. So go out, get some protein, and give your body the boost it needs to become strong and healthy. Turn on the news and, within half an hour, you’re likely to see a report on the health benefits of omega-3 essential fatty acids. Unlike many food fads, the hype surrounding omega-3s is backed up by solid, decades-long research. These nutrients, sometimes referred to as “Vitamin F”, streamline your metabolism, increase brain function and decrease inflammation. While this may seem too good to be true, omega-3s have been found to make you thinner, quicker-thinking and less likely to develop heart disease and arthritis. Unfortunately, the Western food supply is deficient in these nutrients. While meat, poultry and fish used to be excellent sources, they are now high in omega-6s, which are found in high concentrations in corn-based feeds. Omega-6s not only increase inflammation and fat-storage but, when eaten in improper balance, prevent the absorption of omega-3s. 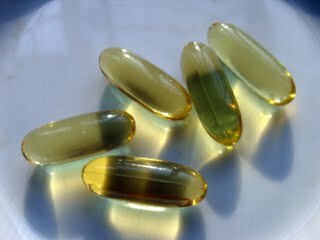 The easiest way to add omega-3s to a Western diet is a fish-oil supplement. These capsules contain purified oils that are high in the essential fatty acid. Although they provide the most effective way to quickly increase your omega-3 intake, for the maximum benefit you should also alter your diet to include more omega-3s and fewer omega-6s. Many nuts and seeds contain high quantities of omega-3s. Walnuts, almonds, pumpkin seeds and flaxseed are all excellent, omega-3 rich foods to add to your diet. However, these sources do not contain a complete fatty acid, which is comprised of ALA, DHA and EPA. Fruit and vegetable sources only contain ALA, which your body can convert to DHA and EPA, with some difficulty. To consume a complete fatty acid, you should include protein sources that have been grass-fed or exclusively grazed. Grass-fed animals consume the ALA and convert it to DHA and ARA, saving your body the trouble. It can often be difficult, and expensive, to find grass-fed beef or poultry. Fortunately, there are many varieties of free-range eggs that are very high in omega-3s. If you live in a rural area, contact local egg farms to find out if their chickens are fed corn-feed or are free-range. Dark-green, leafy vegetables, like spinach and romaine lettuce, are high in omega-3s and low in omega-6s. Many experts believe this is because omega-6s are responsible for fat storage, while omega-3s increase metabolism. Omega-6s are found often in plant seeds, like corn and wheat, while rarely found in high quantities in the leaves. Fruits are also an excellent source of omega-3s. High-water fruits, such as melons and blackberries, contain very high concentrations. Pomegranates, which are believed to have anti-cancer properties, also contain much omega-3. As you begin to change your diet, you should research your favorite foods to compare the concentrations of omega-6s to omega-3s. Omega-6s are the most common and found in nearly every food, so don’t worry about not consuming enough. By substituting foods high in omega-3s for those laden with omega-6s and taking a daily omega-3 supplement, you can reap all the health benefits of this essential fatty acid. 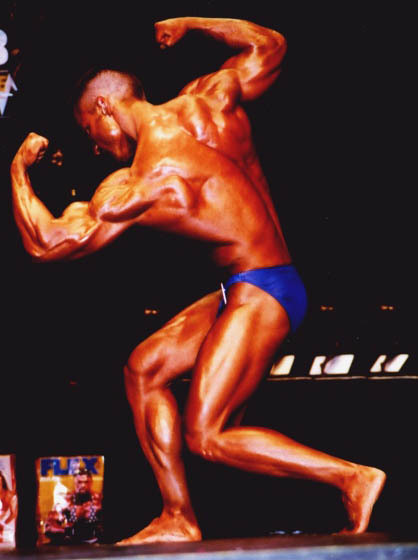 Here are some pictures of me from the 2003 Provincials.